Catamaran bait boat DEVC-303 yellow ABS engineering plastic carp fishing bait boat . 1. The small size with the lightweight is the obviously characteristic of DEVICT Smono bait boat. 2. Same as other all DEVICT bait boats, it facility with high level electronic parts and ABS engineer plastic boat hull to ensure its high quality and in top level in bait boat industry. 3. 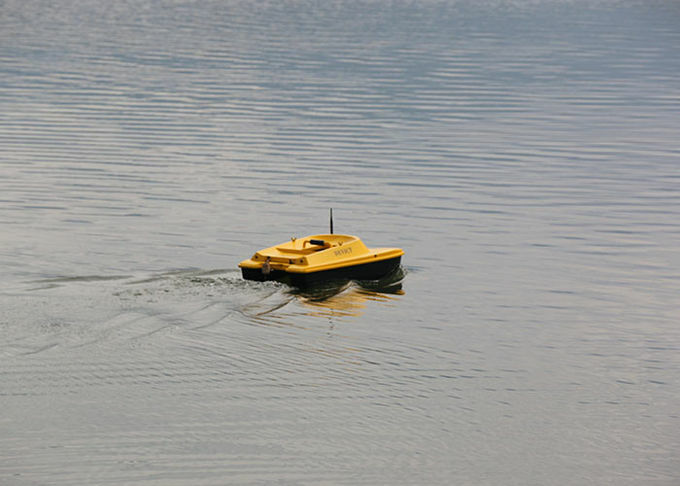 Designed scientific structure to make bait boat in silence sailing, easy maintain and exchange batteries conveniently. It could be widely used in the lake, river and calm sea to dropping fishing lines and ba iting by remote technology. 4. The intellegent battery level indicator with LVF function could warning users in time to ensure saling back the boat before battery used out. 5. 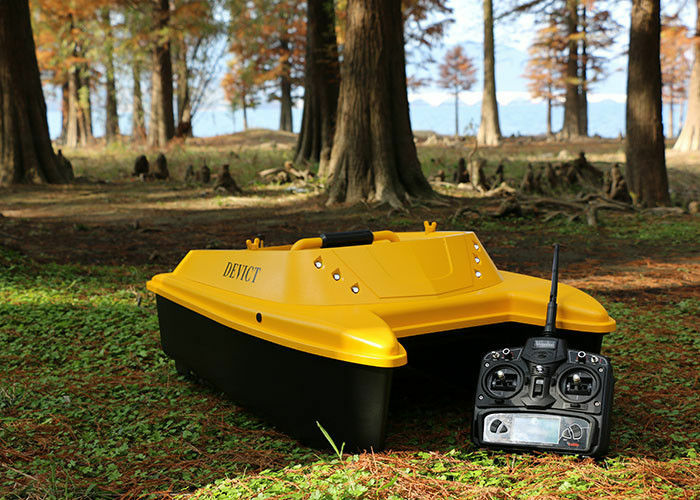 Update bait boat every year to make product perfect and advanced technology in this industry all the time is the obviously highlight of DEVICT product. 6. Two years guarantee keeps as the international service level as international brand required. 1. How does DEVICT offer the samples to potential customers? In general, customer need pay for the sample cost by T/T. Once customer place order which the quantity more than MOQ, DEVICT will deduct the boat cost in the first order. 2. Could you offer OEM or ODM service to customers? Yes, we can! But it also need concern about the order quantity. We could offer OEM service when the order quantity more than MOQ we required. As the service, we offer some free spare parts rate as the support to customers. Since we have ability to design and manufacturing the new products, we also could offer ODM service as customers' requirements all over the world. 3. What's your MOQ of the order? Generally, MOQ is 60pcs at lease. 4. What is the payment item for order? T/T or L/C are all acceptable for us. When the order quantity is more than 60pcs, pay 50% deposit in advance and rest pay against B/L copy. If less than 60pcs, it need pay 100% in advance. The detailed payment items will be negotiated in the real business agreement. 5. How about your quality warranty? The warranty time of our bait boat is at least 1.5 years after factory leaving. All the parts could be changed and offer to the customers freely during the warranty period. Generally, the delivery time is about 15-20 working days for 500-600pcs bait boats. The samples could be dispatched immediately once received the sample payment.